How about some festivals in Europe in November ? 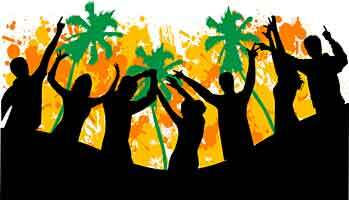 Closer to winter and colder, summer and all fun festivals seems far away now. 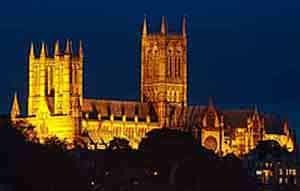 Well, there are still plenty of great options to enjoy a festival or two. 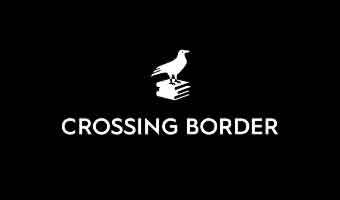 Read further and you’ll surely find some good festivals in Europe in November. Iceland Airwaves takes place in early November and it focuses on new and emerging musical acts. The hip capital city of Reykjavik will play host to around 9,000 guests at this cool five-day party. Cool, stylish and indie – that sums up the Pitchfork Festival taking place in Paris first weekend in November. 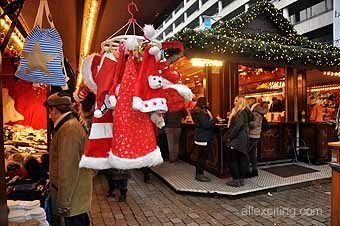 Last week of November, most of the cities start their Christmas-Markets all over Europe. Especially in Germany, and our favorites are those in Berlin and Hamburg. Pitchfork Festival will present not just the most famous names in the music industry, but also newbies, featuring from pop, electronic sounds to true indie rock sounds. It’s a five-day pop and rock party, showcasing new acts, from Iceland and across the world. 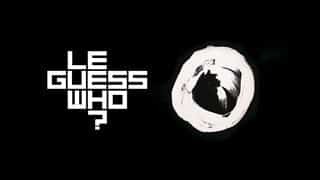 LE GUESS WHO? is a unique music festival held in the picturesque city Utrecht. Many magical Christmas Markets in Vienna from late November till 26 December, and some even some days into the new year. Every December you can enjoy Tollwood in Munich. Christmas market, conserts and a great Silvester party at NYE. 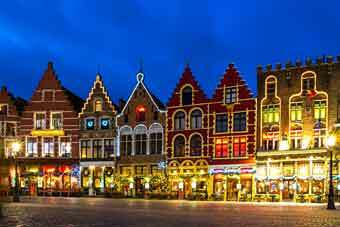 Christmas is the special time of the year when Bruges, a medieval and ancient center of Belgium, becomes a beautiful Christmas-decorated holiday destination. 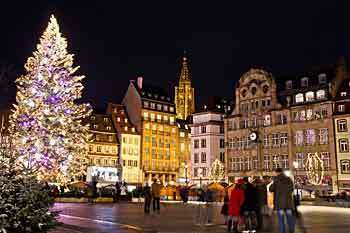 Frankfurt Christmas market attracts thousands of people every year who are enjoying the offer of things to do and buy in this beautiful German city. Explore the beautiful Römerberg and Paulsplatz decorated in Christmas style and with a huge Christmas tree is the center. Enjoy Christmas in Bremen and the beautiful decorated Christmas markets. 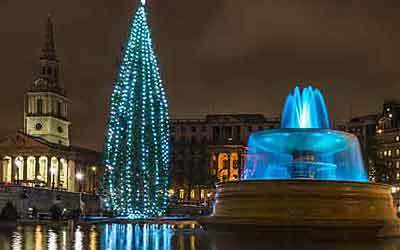 Spend a weekend and explore the Christmas atmosphere in Berlin. 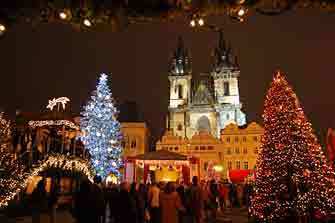 Over 50 Christmas markets around in the city – we have covered the most popular and some more. Winterlights Luxembourg is an annual festival held in the historic centre of Luxembourg City. The festive atmosphere of Winterlights brightens the dark winter days. Key industry folks blend with caffeine connoisseurs to enjoy an atmosphere of coffee creations and new trends. 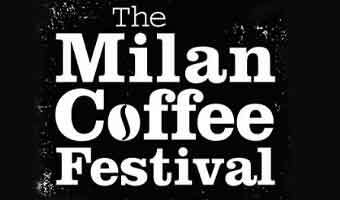 Visit Milan for s great coffee festival. Nuremberg ´s Christmas market is special because it is a unique mix of history, tradition, art and food. The Winterlights festival transforms the capital of Luxembourg into a magical winter wonderland from late November into the first week in January. 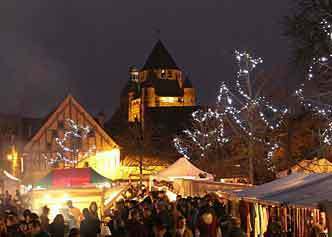 The magic of Christmas lightens up the medieval city of Provins (Paris region) every year one weekend in December. 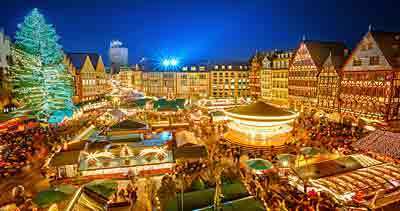 Frankfurt Christmas market attracts thousands of people every year who are enjoying the offer of things to do and buy in this beautiful German city. Explore the beautiful Römerberg and Paulsplatz decorated in Christmas style and with a huge Christmas tree in the center. Coffee lovers should visit Milan Coffee Festival 30 Nov – 3 Dec.